1. 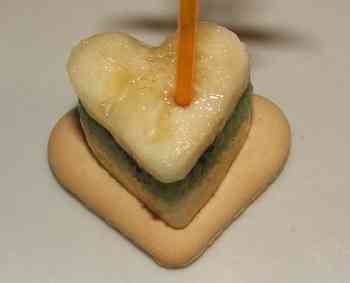 Peel and slice banana and kiwi and layer the fruits with biscuit hearts. 2. To fix use toothpicks.